Minutes from the University and the College and walking distance to downtown make this location an excellent choice! Complemented with over 900 sq ft of living space and a beautiful view of the valley! Loads of cupboard space, and a large closet in EACH of the bedrooms. Coin operated laundry on site. The enclosed courtyard featuring a new 3300 square foot patio allowing lots of sun and shelter from the wind, as well it provides our residents with a quiet place to relax. 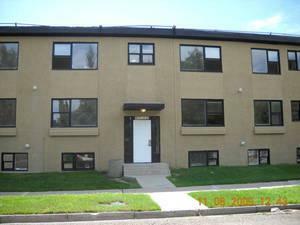 Starting at $950.00 per month.All utilities excluding electricity are included. Call 403 942-2519 to book your viewing or for more information.